November 28, 2017 was a note-worthy evening as Education Through Music-Los Angeles (ETM-LA) hosted its 12th Anniversary Benefit Gala. Supporters from the music, film and education communities gathered to honor Grammy-Winning Violinist Joshua Bell, and Veteran Music Teacher (Foshay Learning Center, Los Angeles Unified School District) Vincent Womack at the Skirball Cultural Center. 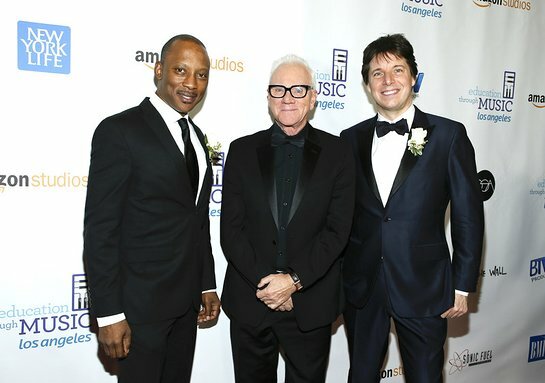 The event was hosted by Malcolm McDowell (Mozart in the Jungle), and featured special performances and presentations by Joshua Bell (Grammy winning violinist), Billy Childs (Grammy winning pianist/composer), Judith Hill (The Voice, Prince, Michael Jackson), Joanne Pearce Martin (pianist, Los Angeles Philharmonic,) Dr. Lemmon McMillan, guest Chris Botti (Grammy winning trumpeter), Foshay Learning Center Students and Education Through Music-LA Students. Executive Director of ETM-LA Victoria Lanier welcomed co-chair hosts Lola Debney and Alecia Spendlove. 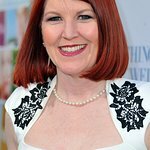 Honorary chairs of the gala include music education champions and celebrities such as Tony Bennett and Susan Benedetto, Jane Lynch, Michael Giacchino, Ed Helms, Randy Spendlove, Bob Saget, John Debney, Malissa Shriver, and Tavis Smiley, along with other community leaders. Education Through Music-Los Angeles’ mission is to promote and support music instruction in disadvantaged schools in order to enhance student’s academic performance and creative and general development. Celebrity guests included: Amazon Studios’ Mozart in the Jungle cast members Malcolm McDowell, Saffron Burrows, Masi Oka, Will Graham, and executive producer Paul Weitz, Ed Helms (actor The Office), Blake Neely (composer The Flash, Arrow), Randy Spendlove (Paramount Pictures), Vincent Womack, Austin Wintory (composer Assassin’s Creed: Syndicate), Joseph Trapanese (composer Straight Outta Compton), Kathryn Bostic (composer Dear White People), Michael Abels (composer Get Out), Rolfe Kent (composer Downsizing), Justin Hurwitz (Oscar-Winning composer La La Land, Whiplash), Brian Tyler (composer Avengers: Age of Ultron), CeCe Sammy (vocal coach, The Voice UK, American Idol), Atli Örvarsson (composer Law & Order True Crime), Karen David (actor Galavant, Once Upon a Time), Tim Davies (composer Trollhunters), Neal Acree (composer Overwatch), and Melora Hardin (actor The Office). Now in in its 12th year, ETM-LA has expanded from 2 Schools and 800 children to a planned 30 schools and approximately 15,000 schoolchildren with weekly music as part of the core curriculum in such diverse communities as Burbank, Compton, Chinatown, Downtown LA, East Los Angeles, Pacoima, Pasadena, San Fernando Valley, South Central, and West Los Angeles. Education Through Music-Los Angeles is an independent 501c3 non-profit with the mission to provide music in disadvantaged schools to enhance students’ academic achievement and creative and overall development. ETM-LA partners with inner-city schools to provide yearlong music instruction for every child in the school and is based on the ETM model (New York, 1991).